It always amazes me how quickly a new technology gets adopted and quickly becomes a necessity and expected in our daily lives. “Smart Home Technology” is one of those new things that are quickly becoming commonplace. According to a recent survey by a nation-wide real estate franchise of US adults, 71% of home buyers now expect a home to be “move in ready”. Of those home purchasers, 44% think that “move in ready” should include Smart Home Technology. In addition, 57% of that group said they would consider an older home if Smart Home Technology had already been installed. It appears that luxury home buyers are much more interested in Smart Home Technology than the general homebuyer. For some, it can be a deficit for a home for sale if smart tech is not already installed. It appears that Smart Home Technology has become to be an expected feature in the luxury market. For people looking to purchase a luxury property, they feel that if the home doesn’t have some sort of Smart Tech, the home seller has cut corners. Much of this level of expectation has been set by people traveling to five-star hotels where they experience Smart Home Technology and come to expect those features in their home buying process. With many high end hotel rooms, office spaces and even airplanes having Smart Home Technology; it has become an expected feature in the Luxury Property market. Although Smart Home Tech was seen in ultra-expensive homes in the multi-million dollar range years ago, many now expect those features included in homes starting at $750,000. It is expected that Smart Home Tech will continue to make its way into the more common homes for sale at all price ranges over time. The aforementioned survey also stated that 36% of home buyers feel that a home that includes Smart Technology is a “major selling point”. Over half of the home purchasers said they would pick a property with Smart Tech over a home without it…all other things being equil. They claim to expect those numbers to continue to increase over time in all home price ranges. Although this type of technology for the home is still in its infancy, with the explosion of smart phone usage, many big players including Google has gotten on the bandwagon. 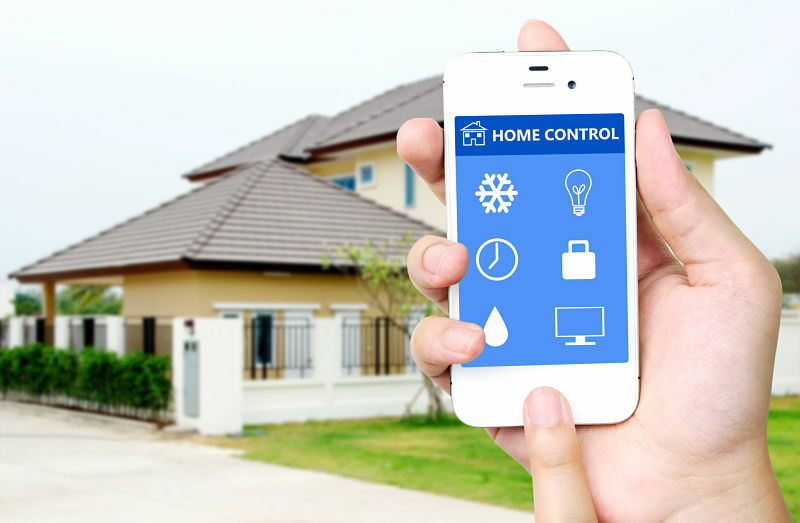 If you have many smart home gadgets, many choose a centralized system of control utilizing a hub. When looking at a hub for your Smart Tech for your home, you will want to insure that it will work with all of your appliances. A company such as Samsung’s Best Smart Home Hub controls a variety of devices and even their newest versions of their very popular televisions. One of the most popular ways to utilize this new technology is in the security aspect of the home. It is possible to lock and unlock your doors as well as monitor your security cameras directly from your smart phone. Although some may not consider it security, smoke detectors and carbon monoxide detectors are also available. Needless to say, we utilize much of today’s technology for convenience. That holds true with technology designed for the Smart Home too. Smart Home Tech has provided the ability to open your garage door, turn on the lights and crank up the A/C while on your way home. Some Smart Home features even provide the ability to replace your wall switch and utilizing a built in camera, will automatically turn the lights on when you enter a room. You can even use the technology to connect to your bed, to monitor your sleep and adjust the bed automatically for the best nights rest. In today’s ultra-competitive real estate market, if you are looking to sell your home, an investment in Smart Home Technology could be an added feature that sets your home apart. Elevate Realty Group provides an instant and accurate home valuation absolutely free of charge. To get your homes current value, CLICK HERE!